On this heavenly Hawaiian island hopping holiday, our handpicked, quaint inns and boutique hotels are known for their peaceful surroundings and genuine Polynesian hospitality. 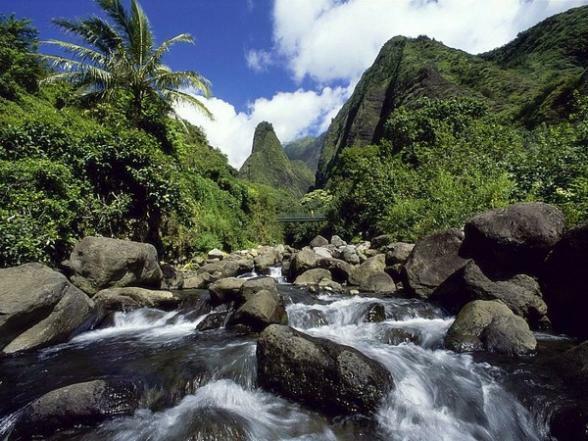 Enjoy and explore the Hawaiian landscape and culture with a personal touch to your holiday. Welcome to one of the most beautiful places on Earth. After settling into your Inn, enjoy the sunshine with a walk on famous Waikiki Beach or catch a few ray's at the pool to wind down from your flights. 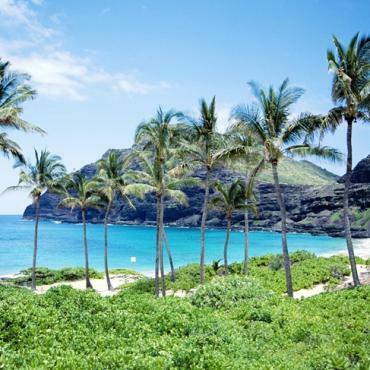 Oahu is, of course, the most frequently visited island in the Hawaiian Islands chain. You’ll be surprised at the diversity of scenery and activities. There is much more to Oahu than just lively, cosmopolitan Honolulu. Filled with lush tropical gardens, Polynesian influenced architecture and an amazing beach, it is considered one of the most livable cities in the world. If you’re up to an early start and some adventure, plan for a day filled with great scenery and immersion into Hawaii’s culture. It takes about an hour to hike up to the summit of Diamond Head, just a short bus ride from Honolulu. The trek offers a spectacular 365 degree view of the island. Just beyond Diamond Head, Hanauma Bay Underwater State Park offers more great views and incredible snorkeling. A walk on Makapu’u Point, located on the most eastern point of the island will reward you with views of stunning Waimanalo Bay, Sandy Beach and Koko Head. Nearby Turtle Bay on the North Shore has some of the world’s most legendary surfing spots: Sunset Beach, Bonsai Pipeline and Waimea Bay. The waves here can be awesome, you won't need to be a surfer dude to be impressed. 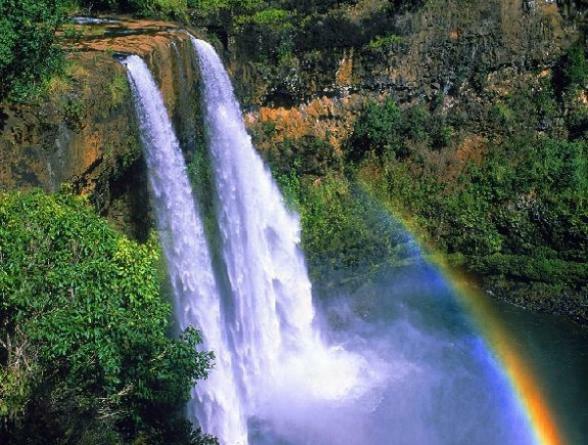 Lush, tropical Waimea Falls State Park is a serene and beautiful place..be sure to take a picnic. Just beyond the town of Hau’ula, the Polynesian Cultural Centre is a must- see. 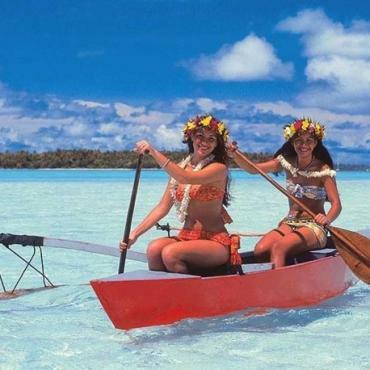 Plan to tour each of the seven distinct Polynesian island group villages. There is a Rainbow of Paradise performance each afternoon and starting at 5:00 PM each day you can enjoy the best luau and Hawaiian entertainment on the island. 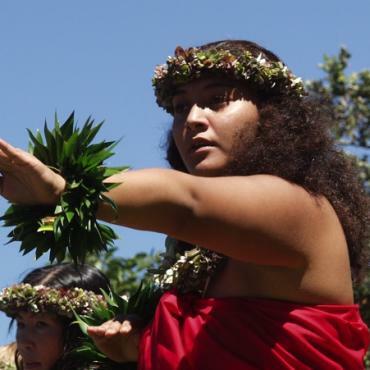 An outstanding 90-minute evening show, Horizons: Where the Sea Meets the Sky, celebrating the rich cultures of Hawaii and other Polynesian islands introduces you to Hawaiian culture. It’s about a hour trip back to Honolulu. Bon Voyage would be delighted to pre book this excurson for you. 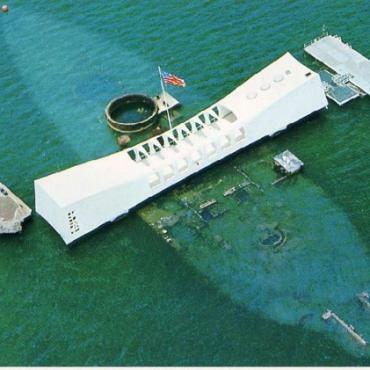 Visiting Pearl Harbor and the USS Arizona Memorial can be a very moving experience. 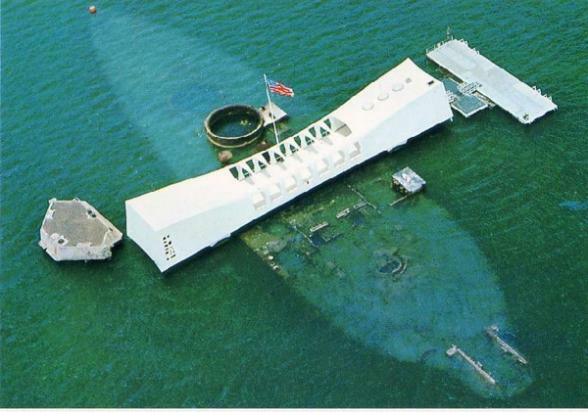 This is where WWII started for the United States. Start your visit with the 23-minute documentary film followed by a boat trip to the memorial. Bon Voyage would be delighted to pre book this excursion for you. In addition to getting some more beach time today and perhaps some shopping in downtown Honolulu, there’s the Bishop Museum, Hawaii’s state museum of natural and cultural history. 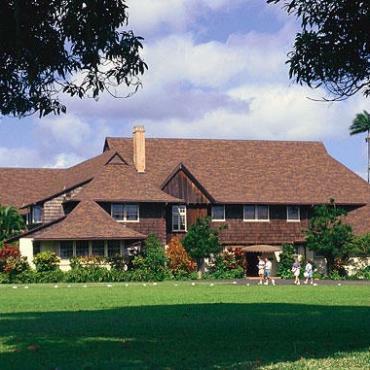 It’s considered the finest museum of its kind representing Hawaii and the Pacific. There are several significant historic buildings on Historic Honolulu, all within easy walking distance of downtown at the equally famous Aloha Tower. It's a short and extremely scenic flight to the Garden Isle of Kauai. This island was the filming location for Elvis in Blue Hawaii, Jurassic Park, Raiders of The Lost Ark and Avatar. 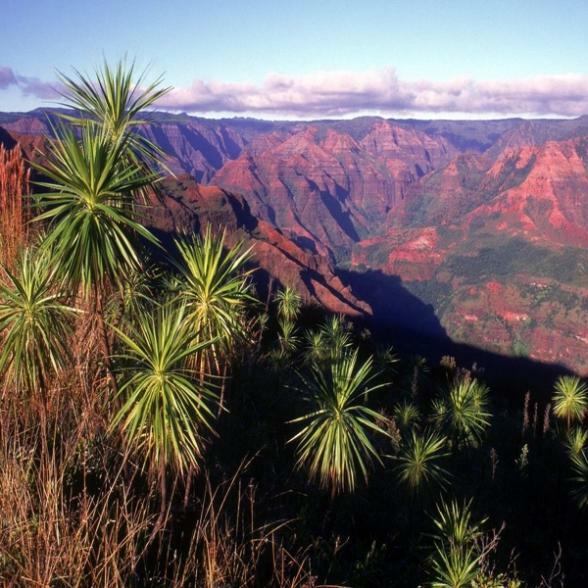 You’ll soon discover that every drive on Kauai is scenic. 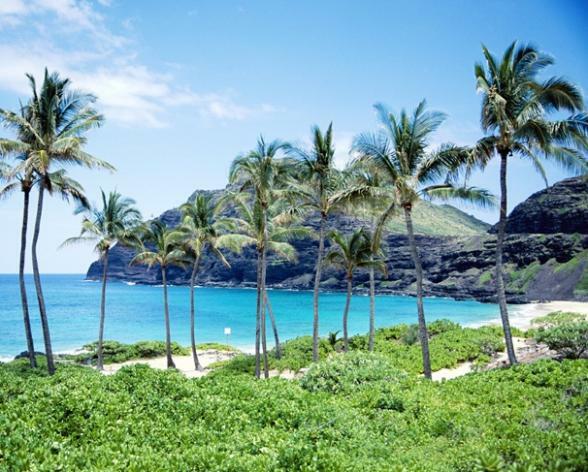 That will be especially true on you way to your accommodations on Kauai’s stunning north shore, best known for its world-famous beaches, beautiful sunsets, cascading waterfalls and incredible cliffs. 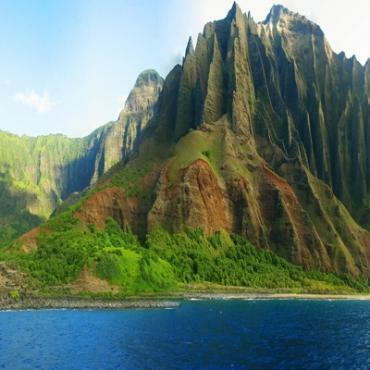 Like all the islands, Kauai has a windward and leeward side. One has lush greenery while the other is desert. At the center of the lush growing area, Kauai’s Mt. Wai’ale’ale is recognized as the world’s wettest spot, receiving more than 40 feet of rainfall annually. You can enjoy a walk through the tropical landscape at the 1,000-acre Limahuli Garden and Preserve located on Hawaii’s North Shore. The US Horticultural Society called it the best natural botanical garden in the U.S. There are both self-guided and guided tours available. 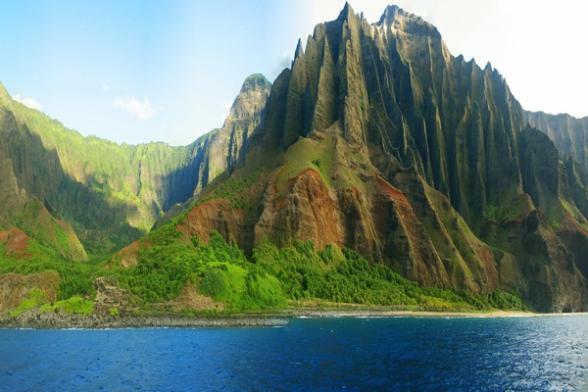 Nearby, Ha’ena State Park serves as the gateway to one of the most beautiful places on earth, Na Pali Coast State Park. Volcanic cliffs meet the crashing sea along a 22-mile incredibly scenic stretch. 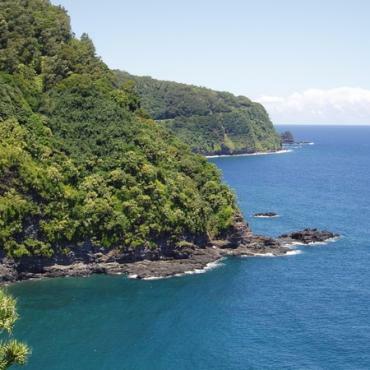 If you enjoy hiking, take in a mile or two of the magnificent Kalalau Trail (no roads here) along the cliffs or gain another perspective in a zodiac raft along the shoreline or from a helicopter flight that takes in the coastline, the interior mountains and Waimea Canyon. You’re likely beginning to figure out that the highlights of Kauai are embedded in the island’s scenic beauty and today is no exception. 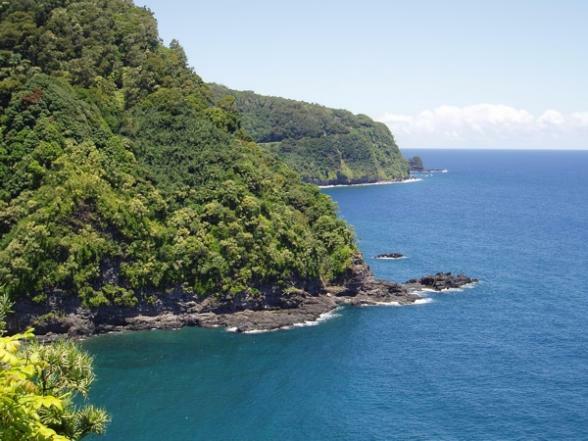 A brief drive takes you to Wailua River State Park where you can enjoy a cruise on the Wailua River, the only navigable river in Hawaii and passable by boat up to the Fern Grotto (the wedding scene from Blue Hawaii was filmed here). The more adventuresome can rent a kayak and explore farther up the river. Get ready for some exploring as you head west through the towns of Hanapepe and Waimea. Mark Twain named Waimea Canyon, a 10 mile long, two mile wide, 3,600 foot deep and extremely diverse natural phenomenon, the Grand Canyon of the Pacific. Travelling back to turn of the century Hawaii will take you back to an era when it was not unusual to see trains loaded with sugar cane chugging from Kilohana Plantation. Now restored, the plantation estate has brought the rails back with an authentic narrow-gauge railroad which tours the working farm on a daily basis. Passengers ride restored wooden cars during a narrated tour through fields of sugar, pineapple, banana, papaya, coffee, flowers and hardwood trees. The plantation has been enhanced with wonderful interpretations of its history. Enjoy a leisurely lunch here, before or after some more Kauai beach time. 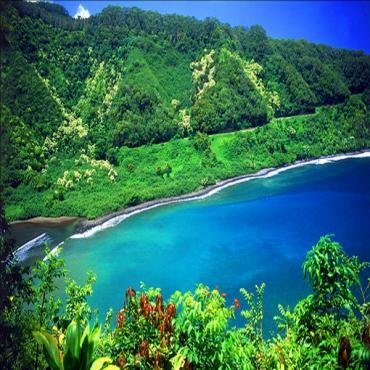 Today you’ll be moving on to Maui, known as the Magic Isle. After your short, scenic flight, get acquainted with your accommodations and spend some time on fabulous Kaanapali Beach. In the Aloha spirit of complete relaxation, tomorrow is time enough to begin exploration of what has consistently been voted The Best Island in the World. Today, one of the world’s most scenic drives awaits you. The mighty Road to Hana a 60 mile stretch of incredible scenery that connects the small town of Hana to the rest of Maui. Plan to allow a whole day for this adventure. The highway winds its way past waterfalls, beaches, bridges and spectacular ocean views. You can take lunch at Hana before continuing on a more rugged road to Wailua Falls, about seven miles south. The falls drops 200 feet down a sharp cliff that is surrounded by lush planting. The falls are only a short walk from the road. 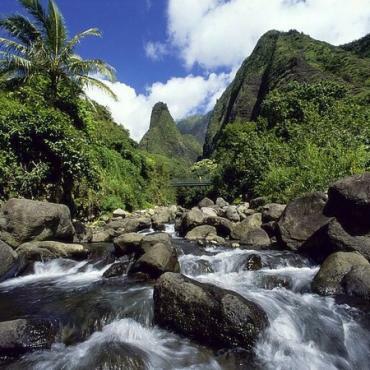 In another mile, you’ll arrive at Ohe’o Gulch, home to the Seven Sacred Pools. 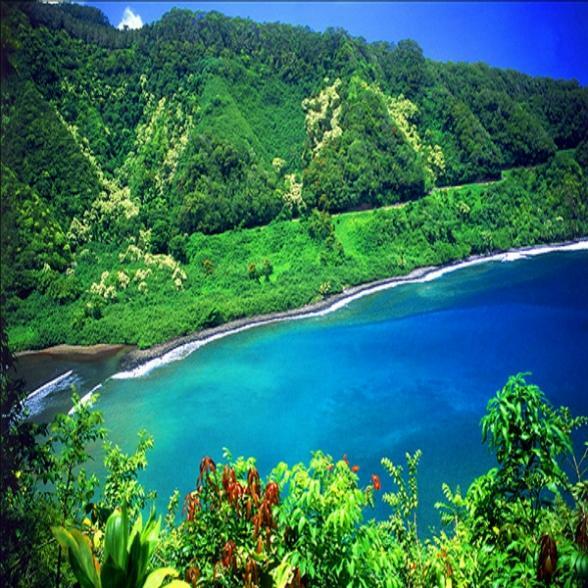 Just beyond the Gulch, you’ll come to the village of Kipahulu and the end of the road. Be sure to pay a visit to the Charles Lindberg gravesite before heading back. 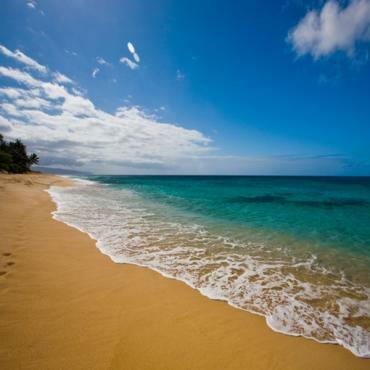 Today is the day to relax on one of the many fabulous beaches on Maui. We suggest dinner in the old historic whaling port town of Lahaina or a sunset Luau at one of the hotels on Kaanapali Beach. 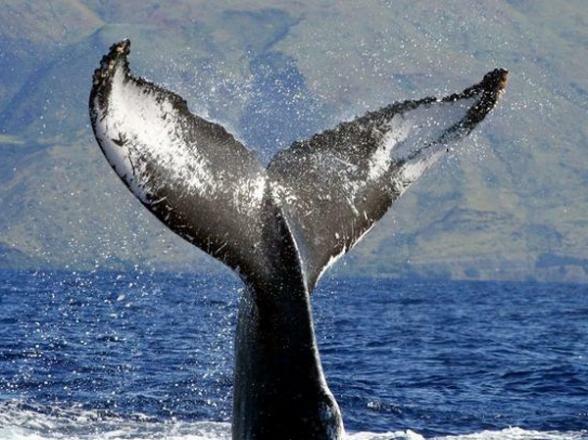 If you're lucky to be in Maui during the whale watching season of December to April, you will experience some magnificent sights. 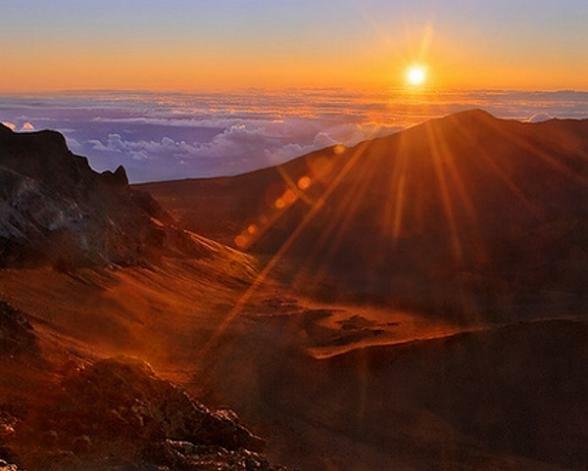 Now that you’ve had some downtime, plan to get up early to enjoy one of the most unique experiences in Hawaii. 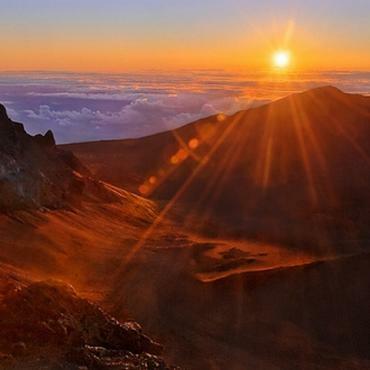 Arise well before dawn in time to drive to enjoy a spectacular sunrise at the rim of Haleakala Crater. It’s about a 2.5 drive from your hotel, but the road is well maintained and the journey to the summit incredible. If you'd prefer an organised excursion, Bon Voyage would be delighted to pre book this for you. 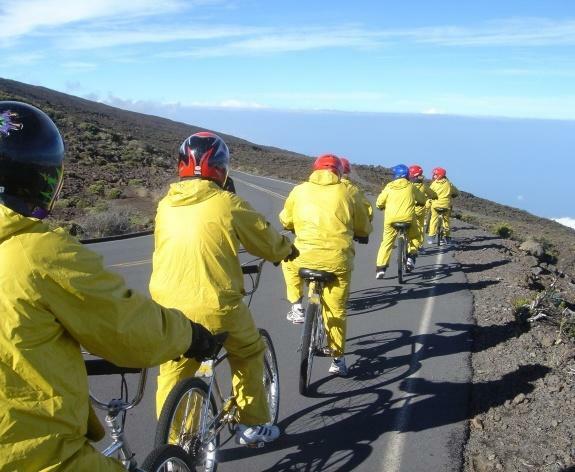 Most people head to the Haleakala Visitor Center and the summit. 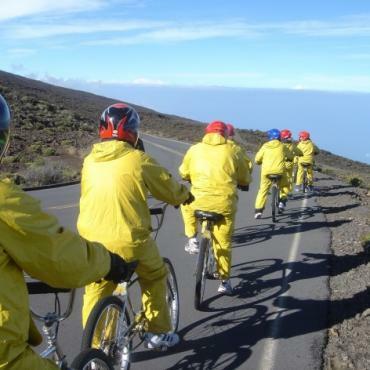 There are three ways to get there, by driving yourself, by taking a motor coach tour or by taking a bike tour that drops you off at the summit with bikes to return at your own pace (with no pedaling). There is a small structure at the summit with panoramic views. The sunrise differs every day based on the weather conditions, but all are spectacular, inspiring thousands of people to get up before dawn to witness this marvellous event. For a change of pace, visit one of Maui’s museums. 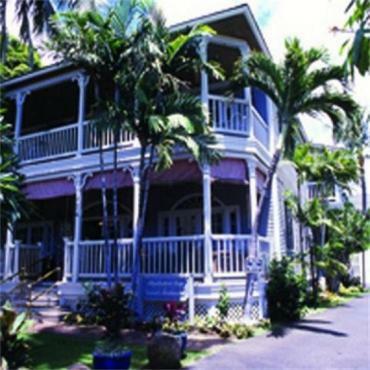 The Bailey House Museum was originally a mission home built within the royal compound of King Kaheliki, the last King of Maui. 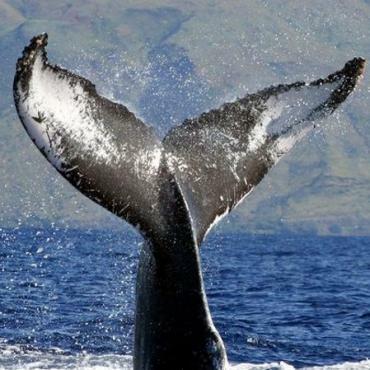 The Humpback Whale National Marine Sanctuary is dedicated to bringing this endangered species back to life. There is also a Maui Arts and Cultural Center and a Sugar Museum which illustrates the impact of this critical crop. This morning after breakfast consider a drive to Iao Valley State Park which features the Iao Needle, a 2,250 foot stone pillar of basalt that was once used as a natural altar. 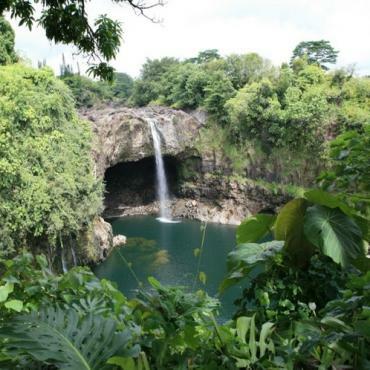 This peaceful lush area is filled with easy hikes and clear natural pools. The ridge-top lookout offers a fantastic view of the valley and Kahului Harbor. For an excellent view of the Iao Needle, follow the paved pathway along the stream leading from the parking lot. Bon Voyage can pre book this excursion for you, if you don't fancy driving today. We strongly recommend one more adventure today, a helicopter flight over Maui, before departing for the Big Island. It is the only way to really see the dramatic natural features of the island in their true light. You'll enjoy incredible views into craters, over cliffs, down cascading waterfalls, and over the majestic mountains. After settling into your accommodations, begin to discover the Big Island of Hawaii, it's so different from the other islands. 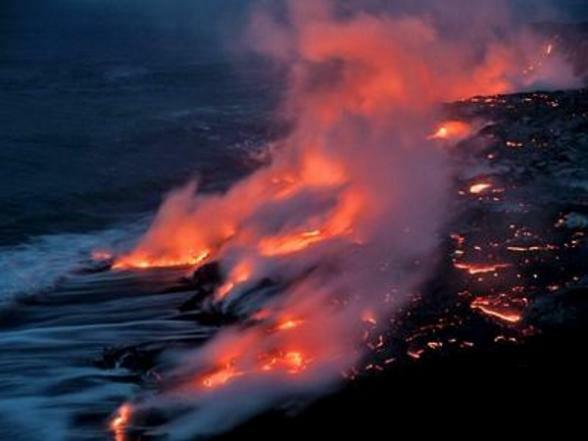 Visit the incredible, eerie Volcanoes National Park where you'll view shooting fire, splashing molten lava and raining rocks. Scenic byways meander along the coastline taking you from one spectacular natural phenomenon to the next. If you’re up for more exploring, visit the Parker Ranch. It's one of the largest ranches in America and, as well as one of the oldest and most historic. 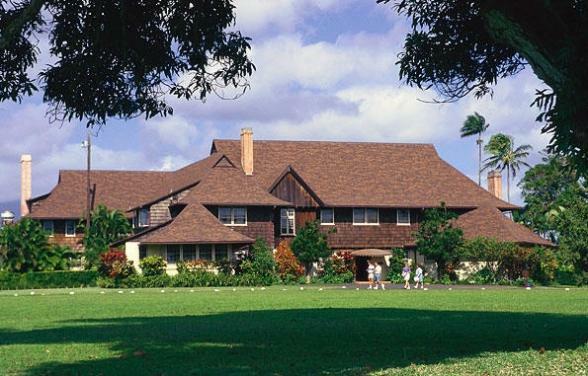 Two historic homes, a visitor center and museum all provide a fascinating look into ranch life and the life of the Paniolo, the authentic Hawaiian cowboy. It’ll take at least two cups of world famous Kona coffee to get you going for today’s adventure. Allow a day to explore Hawaii Volcanoes National Park, named both an International Biosphere Reserve and a World Heritage Site. 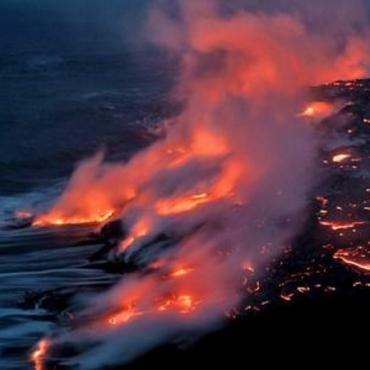 Molten rock rising from a hot spot about 65 miles under the ocean floor is currently fuelling the continuous eruptions of Kilauea Volcano. The Chain of Craters National Scenic Byway lets you take an 11-mile drive that circles Kilauea Caldera, one of Hawaii’s most active volcanoes. The road moves from the caldera rim to the caldera floor, passing through desert, lush tropical rain forest, and smoking lava fields. The sheer cliffs of the caldera and the open vegetation of much of the district offer spectacular views of the volcanic landscape. The other major area of the Park, East Rift is also reached from Chain of Craters Road, which descends 3,700 feet in 20 miles and ends where a 2003 lava flow crossed the road. Consider having dinner tonight at the Volcano House or one of the restaurants just outside the Park’s boundaries. 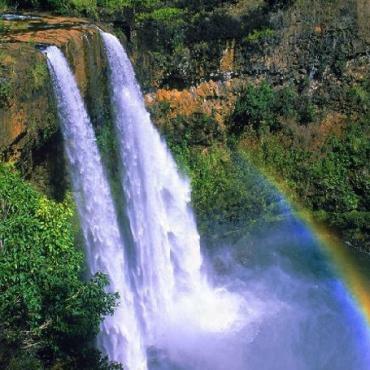 The Big Island has the most diverse landscape of all of the islands. This makes the drives between places more interesting. 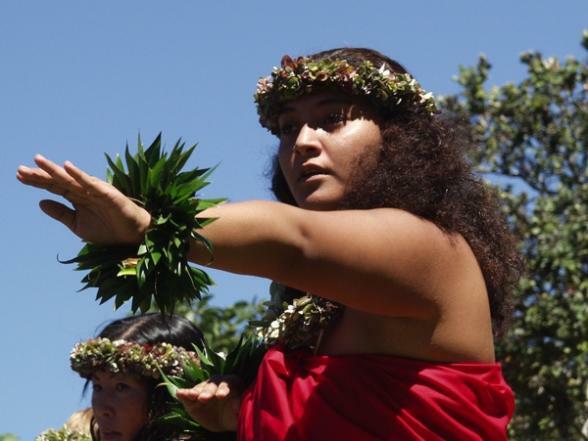 A visit to the Pu’uhonua o Honaunau National Historical Park introduces you to the cultural heritage of the region. Nearby, Punalu’u Black Sand Beach Park is one of the world’s most unique beaches. The sand is jet black under tall, leaning coconut palms. One of the most thrilling sights is spotting green sea turtles that make their home in Hawaii. You can even swim or snorkel among these docile creatures. At Rainbow Falls State Park, you’ll witness the deafening sound of the 80-foot waterfall as it rushes into a large pool below. 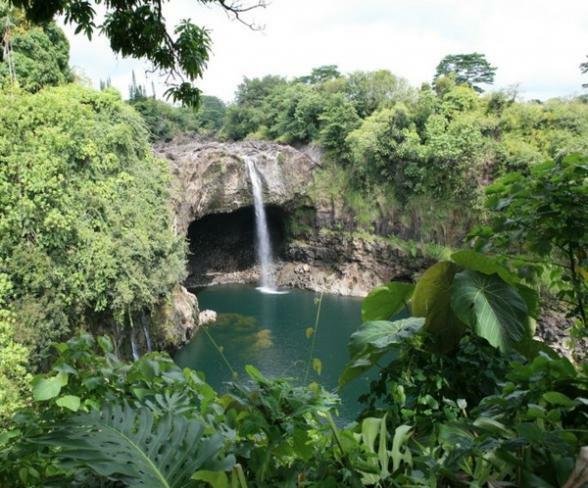 Just 8 miles north of Hilo the 17-acre Hawaii Tropical Botanical Garden is located in a valley bordering the ocean. Without question, it is one of the most beautiful places in Hawaii. As you wander on a self-guided tour, you’ll be passing through many different environments, coconut groves, mango and monkey pod trees, palm jungles and a giant fern tree forest. You’ll also pass waterfalls, streams and at several points, even be within reach of the ocean. It's time for a bit of last minute exploring, souvenir hunting or one last nap on the beach prior to catching your flight back to Honolulu and homeward bound. However, perhaps yo umay want to extend your stay and include a few days in Las Vegas or San Francisco before heading back to the UK. 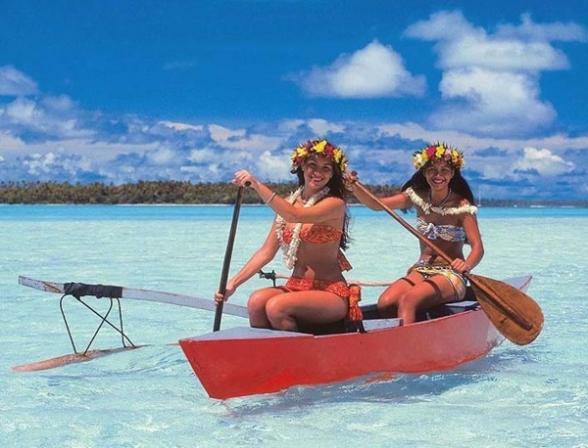 Call the USA holiday specialists at Bon Voyage to discuss your dream Hawaiian Island Hopping Adventure.